BARCO | Baltimore Arts Realty Corp. Thanks for getting in touch with the Baltimore Arts Realty Corporation. Due to our high volume of email, we can’t respond to every inquiry. If your project is a good match for our team, we’ll be in touch. Thanks for getting in touch with the Baltimore Arts Realty Corporation. All studio space is currently leased out at the Motor House, but we do keep a waiting list. Thanks for getting in touch with the Baltimore Arts Realty Corporation. 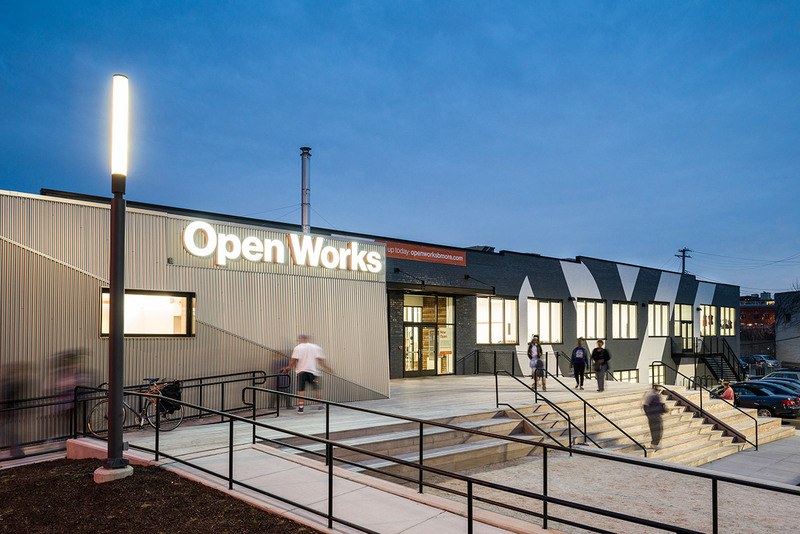 We'll be in touch shortly with information on leasing space at Open Works. BARCO served on the City of Baltimore’s Art Safe Space Task Force, launched by Baltimore Mayor, Catherine Pugh, in 2017. 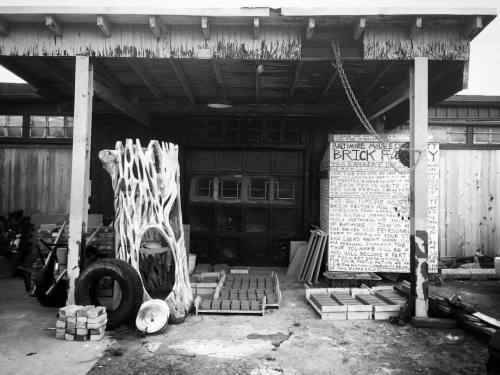 This special task force was organized as a response to the tragic fire at the Ghost Ship in Oakland, CA and the eviction of resident artists from the Bell Foundry in Baltimore. The Task Force integrated the perspectives of artistic, design, development, regulatory, and revitalization experts to develop strategies, identify resources, and propose a programmatic framework to develop and sustain spaces that protect the safety of artists and patrons, while meeting the logistical and technical interests of today’s performers and audiences. A comprehensive report on the findings and recommendations made by the Task Force was presented to Mayor Pugh in December of 2017. Here you can read the full report. Mayor Pugh released a statement on creating safe spaces for artists in Baltimore in December of 2016. 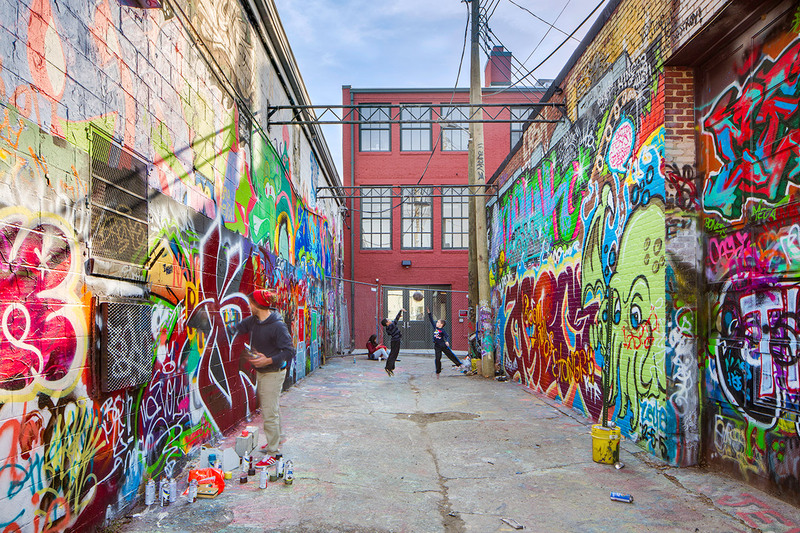 In April 2017, in response to the shuttering of the Bell Foundry, Mayor Catherine Pugh issued an Executive Order to investigate arts spaces. Here you can read the full executive summary. Through our work with artists and arts organizations, we have developed a safe space checklist. A Code Modification Database was developed to allow design professionals and the public to search code modification requests that have previously been granted by the City for existing buildings. The efforts of the task force and the conversation on safe arts spaces continues. For ongoing updates and press about the activities of the Task Force, please visit BARCO’s facebook or instagram. 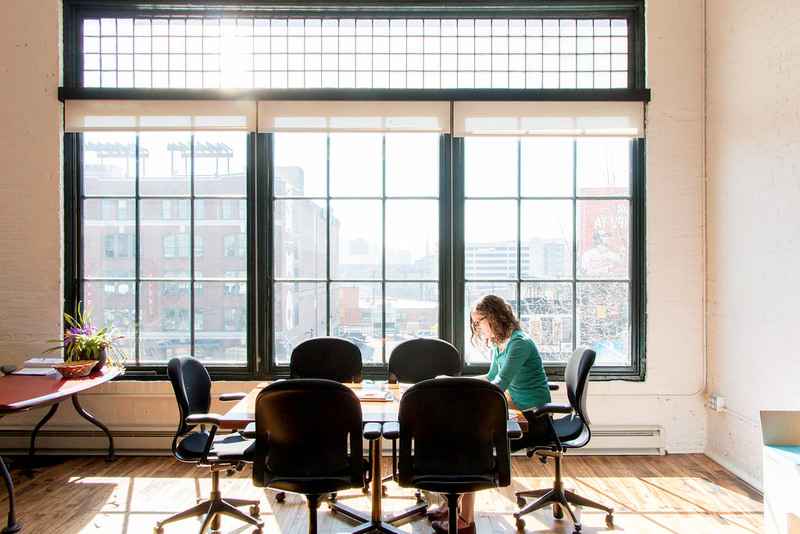 BARCO provides real estate advisory services to the arts community and also develops, owns and manages spaces tailored to the needs of artists and creatives that are affordable and secure for the long-term. 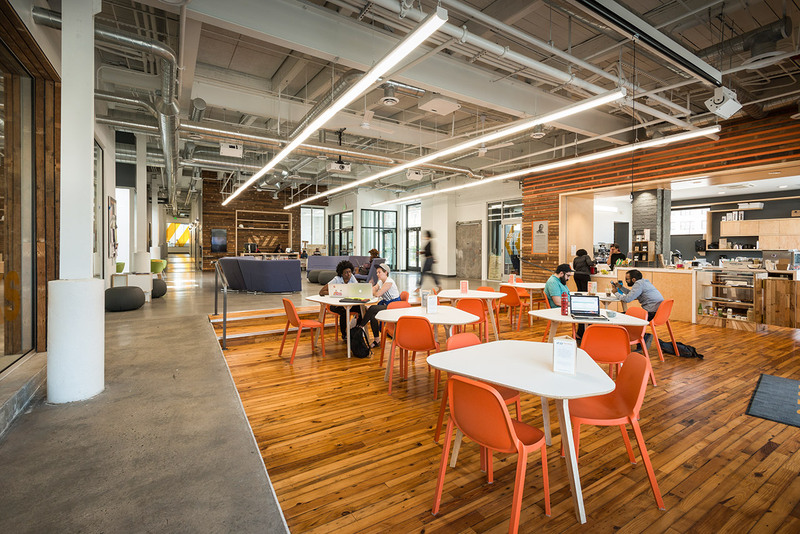 To date, BARCO has leveraged more than $19 million in investment to create 60,000 square feet of space for artists, makers and performers in Baltimore’s Station North Arts & Entertainment District including Open Works and the Motor House. 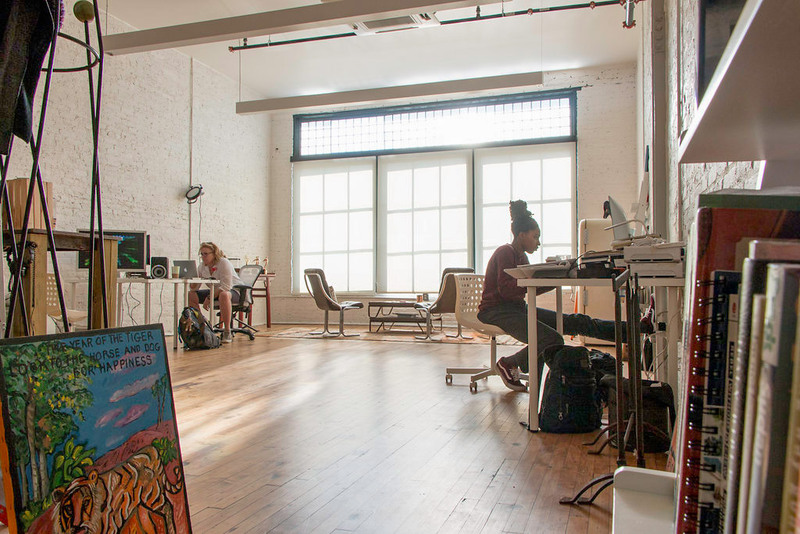 We seek to support Baltimore’s artists and creative innovators by providing access to affordable artist studios and workspaces and seek to intentionally create working environments that welcome artists across lines of difference. We envision a Baltimore where artists are able to work and thrive and are working toward removing structural barriers that prohibit them from doing so. Baltimore values its creative culture and invests in building a robust creative sector accessible by all people. Baltimore is nationally recognized for attracting, educating, employing and retaining creative people and organizations. 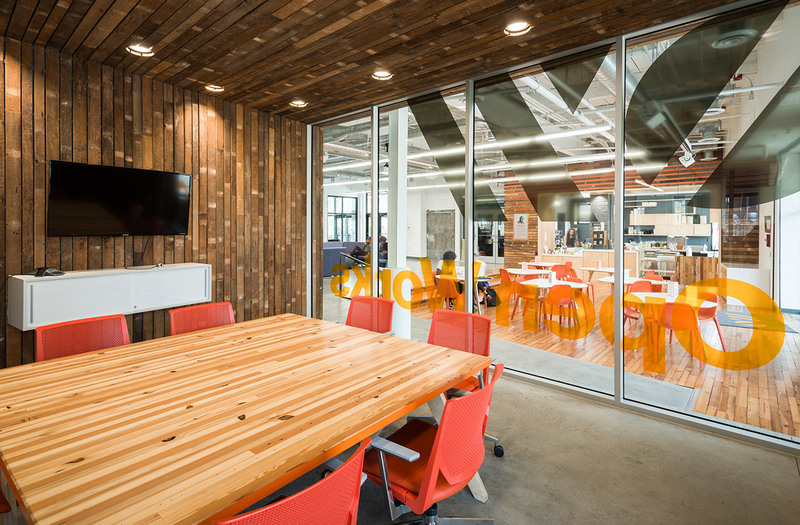 In 2016, BARCO completed the $11.5 million renovation of Open Works, a 34,000 square foot nonprofit makerspace serving the greater Baltimore community. BARCO raised the necessary capital funding to build out the facility and managed the development process from concept through construction to building opening. BARCO also provided operational funding and support to launch Open Works as it’s own non-profit organization. 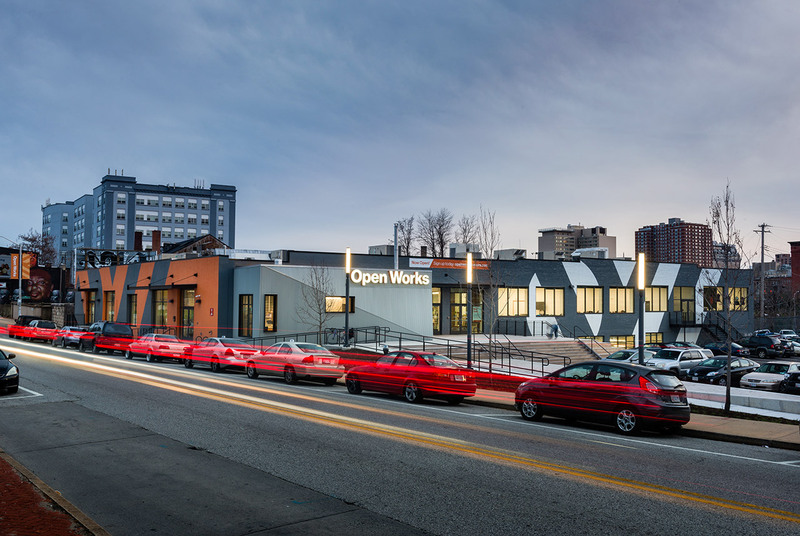 Located in the Station North Arts & Entertainment District, Open Works serves as an incubator for Baltimore’s creative economy by providing affordable working studios and access to state-of- the-art production facilities for visual artists, photographers, graphic designers, sculptors, weavers, fiber artists, fashion designers, fine furniture makers, and small manufacturing companies. The mission of Open Works is is to make tools, technology, and the knowledge to use them accessible and affordable. 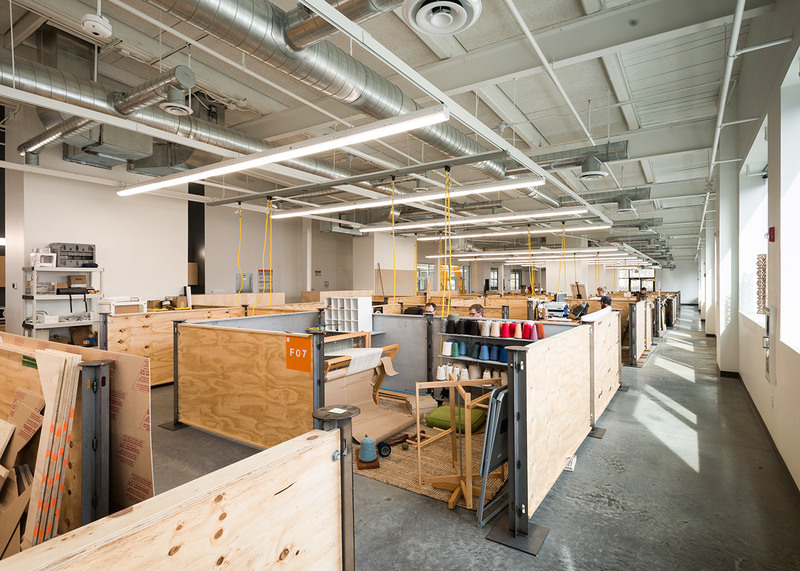 The building features a complete wood shop, metal shop, and digital media studio along with a digital fabrication shop (CNC routers and milling machines), a 3D imaging and 3D printing studio, a microelectronics lab, and a digital embroidery and fibers studio. The facility also provides 140 individual micro-studios for designing, assembling, and finishing projects and products created in these shops. Open Works is also a regional leader in providing accessible classes and instruction in the safe and proper use of these sophisticated production technologies. 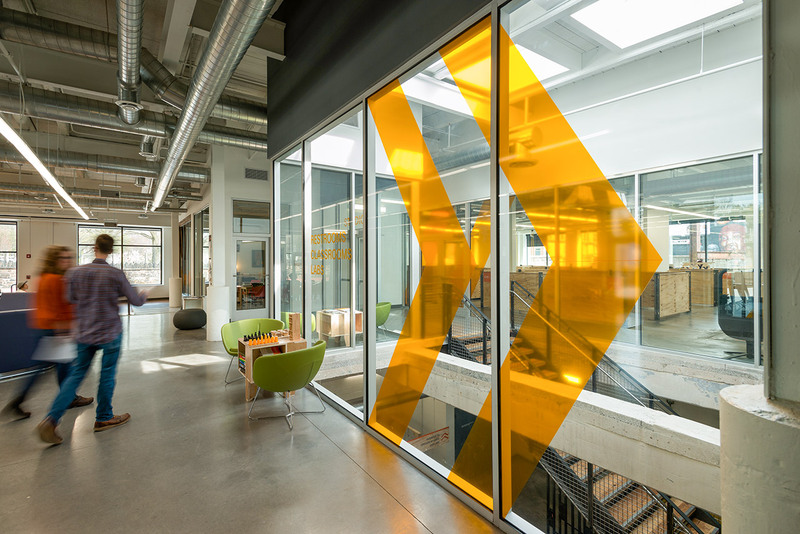 From offering workshops in advanced product design, to classes on woodworking, to seminars on project financing and entrepreneurship, Open Works is realizing its mission of making the knowledge to use tools and technology accessible and affordable. 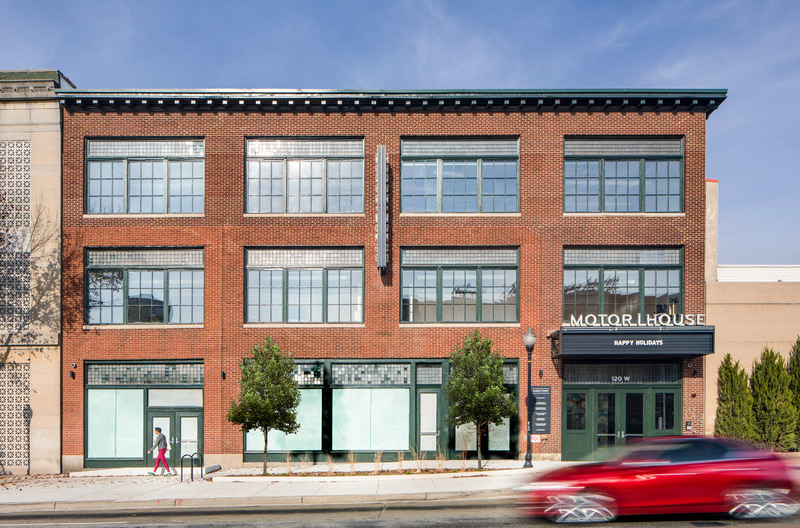 In 2015, BARCO completed the $6 million renovation of the Motor House, a 25,000 square foot visual and performing arts hub in the Station North Arts & Entertainment District. 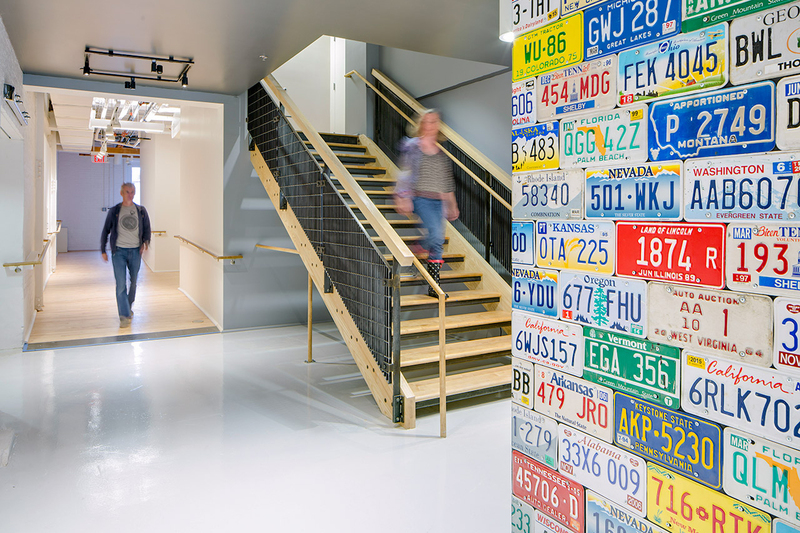 BARCO acquired the building and managed the design and historic renovation of this 1914 historic car dealership. 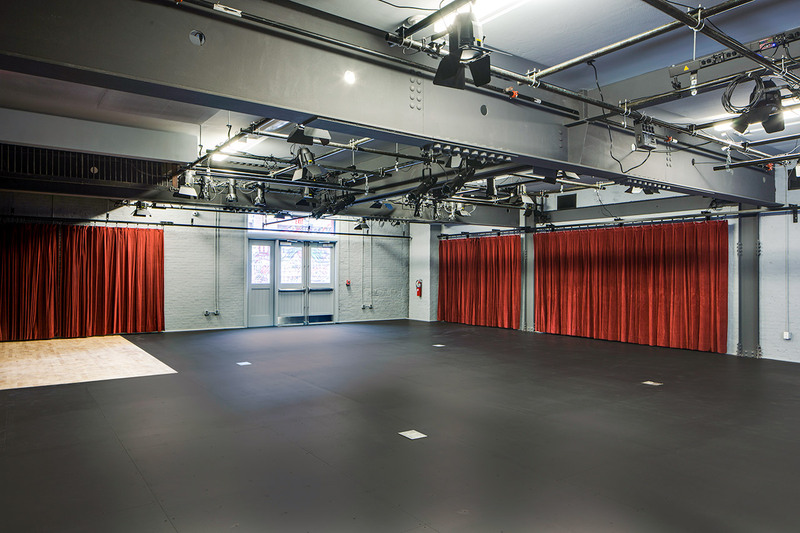 BARCO also runs an 8,000 square foot performing arts venue on the Motor House’s first floor. 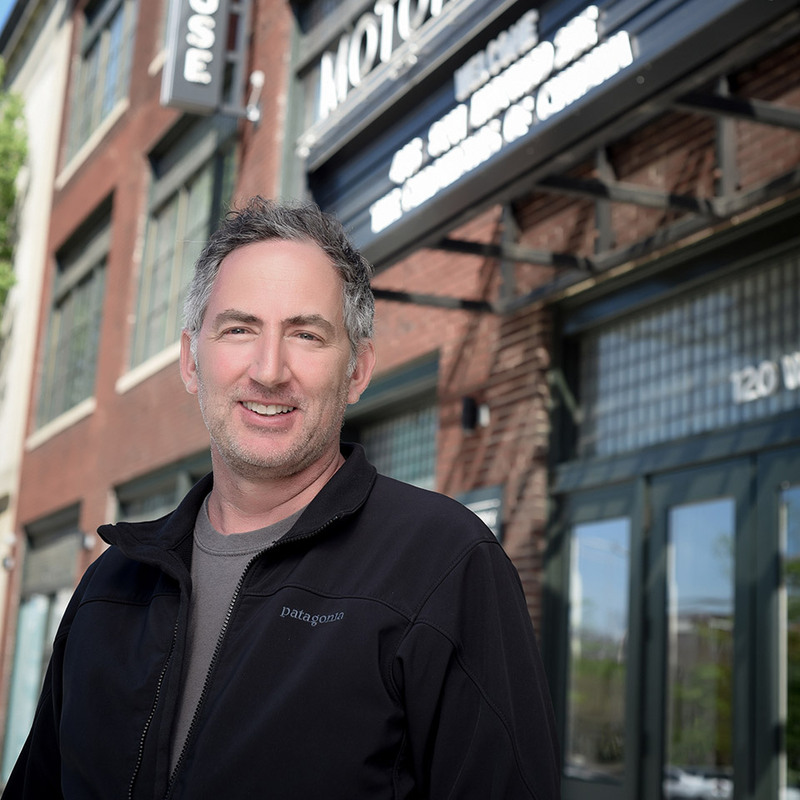 Motor House’s goal is to support artists and build an audience for local and national contemporary art including music, dance, film, visual art, spoken word and theater. Located at the center of the City in an emerging arts and entertainment district, the artistic vision for Motor House is to serve as a multi-cultural arts hub that is firmly rooted in community and showcases underrepresented, cross-disciplinary and emerging art forms. 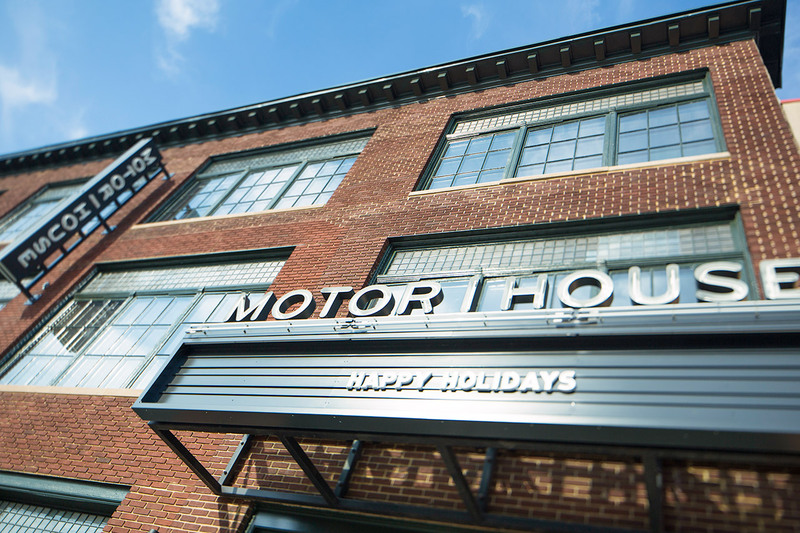 Motor House plays a critical role in solidifying Station North as the City’s leading Arts & Entertainment District, and is one of nine major projects in the District that have turned vacant or underutilized properties into exciting mixed-use projects focused on the creative sector. The fully restored, former car dealership is now home to more than seven, non-profit arts organizations, fourteen artists from diverse disciplines, a small exhibition space, a 175-seat performance venue, a 40-seat venue and a bar. Located at the northwest corner of the arts district across from the Maryland Institute College of Art’s Graduate Center, the building is also home to Graffiti Alley, Baltimore’s only “legal” space for street art. SINCE 2016, BARCO has provided assistance to more than two dozen art spaces accross the city. This ranges from individual consultations to in-depth coaching. 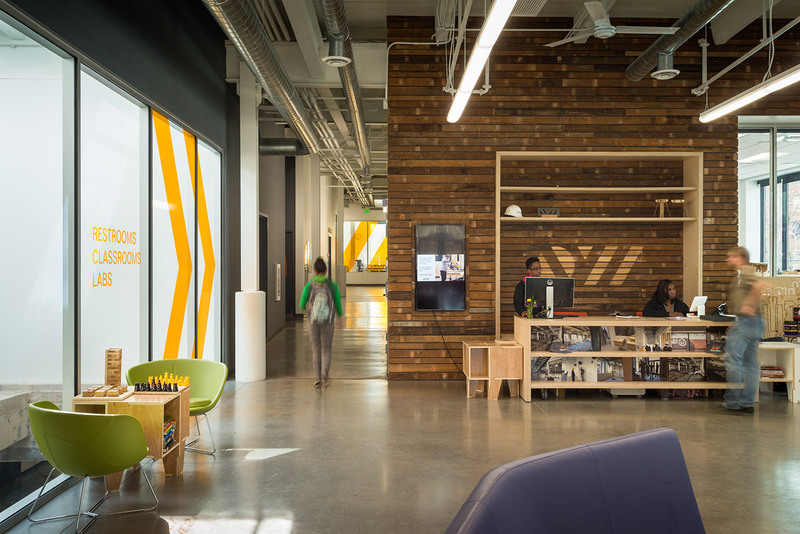 To date, BARCO has helped to leverage more than $1.1 million in new investment in art spaces. Due to current commitments, applications for Technical Assistance will be accepted beginning July 2018. Here you can find the full application. For more information or if you are an arts space in crisis, please contact Marian Glebes at marian[at]BaltimoreArtsRealty [dot]comArtist Space In Crisis. BARCO respects requests for confidentiality on all inquiries. Our partners also provide technical assistance in specific areas, including legal services (MDVLA), space-finding needs (GBCA), design support (NDC), and historic preservation (Balt.Herit). 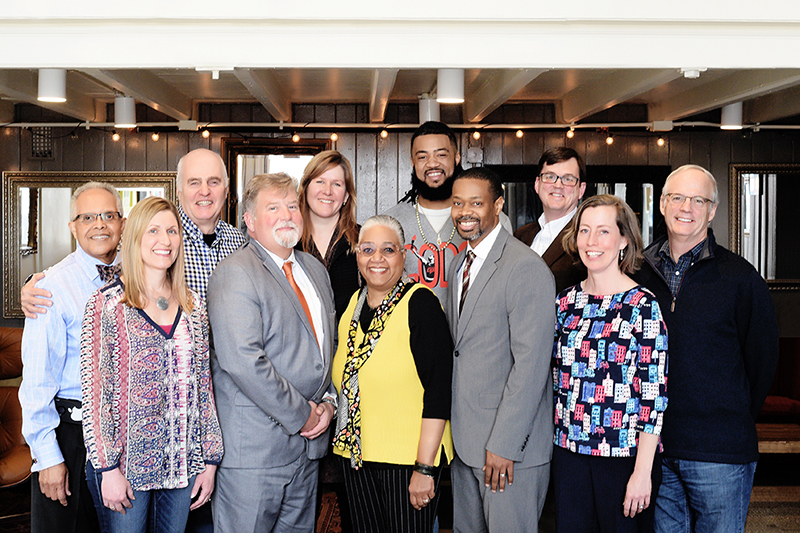 The Grit Fund (TGF) provides monetary awards--up to $7,000--to encourage the presentation and development of projects that contribute to the vibrancy and development of Baltimore’s arts and cultural landscape. The Grit Fund recognizes there are many structural barriers preventing independent artists, and arts-based cultural organizers, from accessing traditional funding that can advance their work and benefit their communities. TGF prioritizes artistic initiatives that present opportunities for artists, cultural workers and community members to develop unexpected collaborations that investigate place and space. We accept proposals from unincorporated artist-led/organized initiatives that utilize the visual arts as a means to produce collaborative public facing projects. Baltimore based artists are eligible to apply. Grit Fund projects must take place in Baltimore City or County and be accessible to the general public. Funded activities may include but are not limited to: exhibitions, publications, public events, public/place based art, film screenings, the ongoing work of an existing arts venue or collective, and the founding of a new arts venue or collective. The Grit Fund was established in Baltimore in 2015 by The Contemporary (TC) museum with generous funding from the Andy Warhol Foundation for the Visual Arts, as a part of the Regional Regranting Program--which “aims to support vibrant, under-the-radar artistic activity by partnering with leading cultural institutions in communities across the country.” Under the stewardship of The Contemporary (2015-2017), the Grit Fund granted over 30 Baltimore specific, artist-organized projects, totaling over $170,000. In 2018 Baltimore Arts Realty Corporation partnered with the Andy Warhol Foundation to steward the Grit Fund through the 2019-2020 grant cycles. Find out how to apply or sign-up for a Grit Fund information session and workshop. 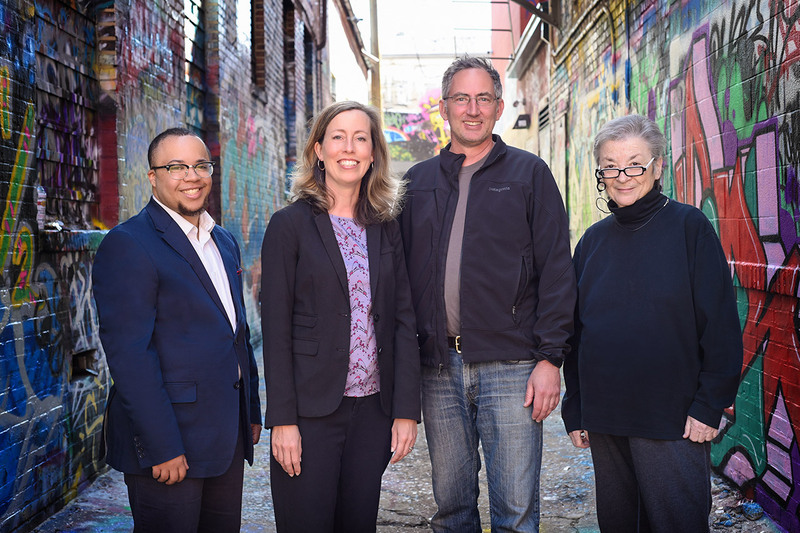 BARCO collaborated with Baltimore City to develop a working protocol that builds on the Mayor’s Executive Order and recommendations of the Task Force on Artist Safe Spaces for how City agencies respond to arts spaces in crisis. 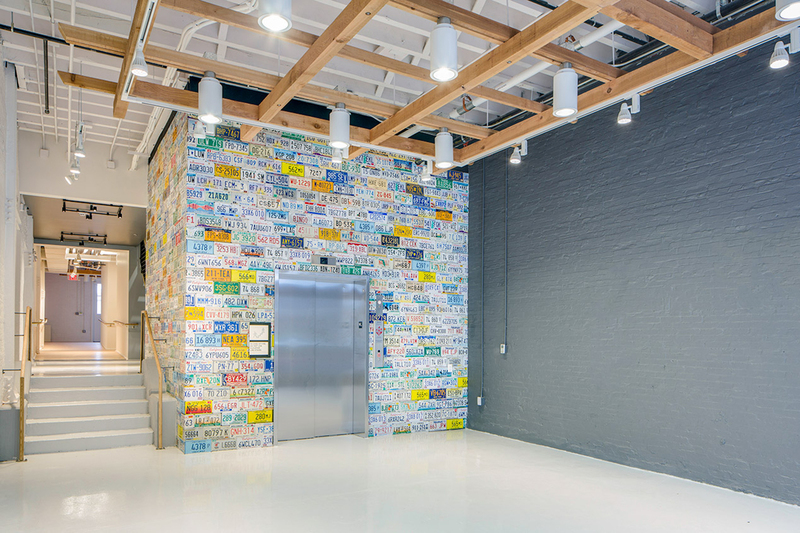 Founded by the RW Deutsch Foundation in 2012, the Baltimore Arts Realty Corporation (BARCO) is a nonprofit real estate development corporation that supports Baltimore’s artists and creative innovators by providing affordable and quality work space. Amy Bonitz brings more than 20 years of experience in urban real estate and community development to her current role as BARCO’s President & CEO. She is responsible for new business development and oversees the financial management, operations and marketing of BARCO’s projects. Prior to joining BARCO, Amy served as the development project manager for the award-winning $18 million Centre Theater project in Station North, and co-led the Southwest Partnership neighborhood planning process with the UMB Bio Park and University of Maryland Baltimore. Amy has a Master’s in Regional Planning from the University of North Carolina at Chapel Hill and spent 9 years in the private sector in commercial real estate development before working in the non-profit sector. Rob was born in Maryland and has been a Baltimore resident since 1987. Rob comes from the construction sector where he worked as a project manager for 9 years for Worster Eisenbrandt, an award winning preservation contractor, and served as the Facility Manager for the Museum of Industry. Rob is also a musician and an expert carpenter. 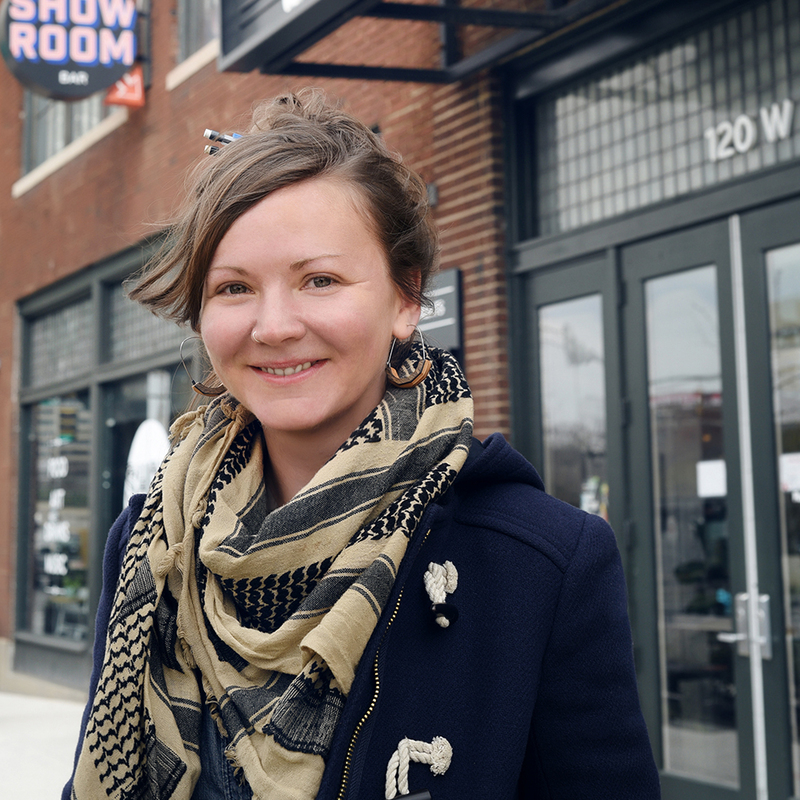 Marian April Glebes brings a multifaceted practice to her role as BARCO’s Arts Space Technical Assistance Program Coordinator. 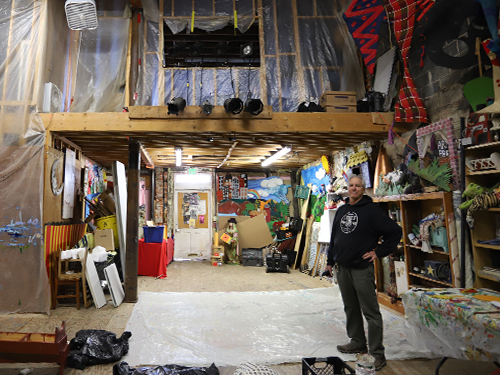 As an emerging artist, Glebes became the inaugural Artist-In-Residence at the Baltimore Museum of Art’s Patricia and Mark Joseph Centre for Education (2015-2016). She received a 2015 Rubys Individual Artist Award from the Greater Baltimore Cultural Alliance and a Maryland State Arts Council Independent Artist Award in 2017. 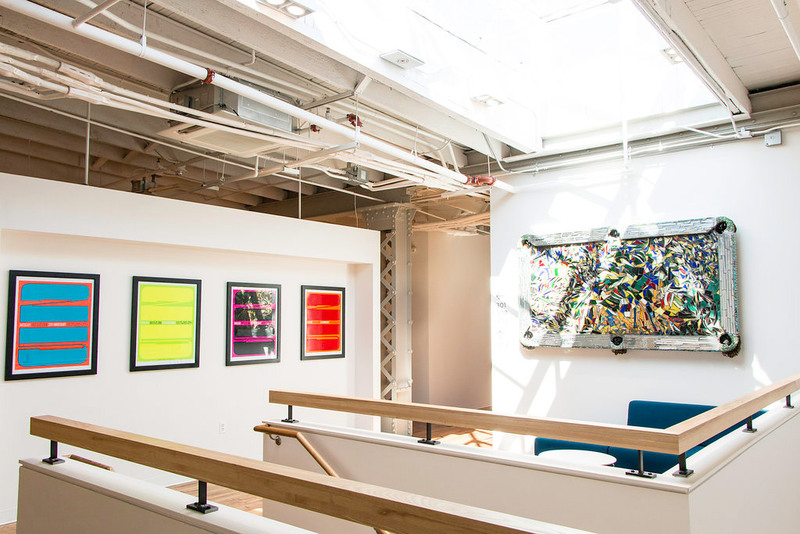 Glebes curates exhibitions and temporal public art installations for a number of Baltimore venues including Artscape (2009-2016), Transmodern Festival (2011), Case[Werks] Gallery (2011, 2012), and SpaceCamp, which Glebes co-founded in 2015. In the Spring of 2012, she joined the Maryland Institute College of Art’s part-time faculty in the General Fine Arts Department. She has also facilitated commercial real estate development in the private sector in Central Baltimore prior to joining the BARCO team. Having received her Bachelors of Fine Arts from the Maryland Institute, College of Art in 2004 and her Masters of Fine Art from the University of Maryland Baltimore County in 2009, Glebes has made her home in Baltimore. 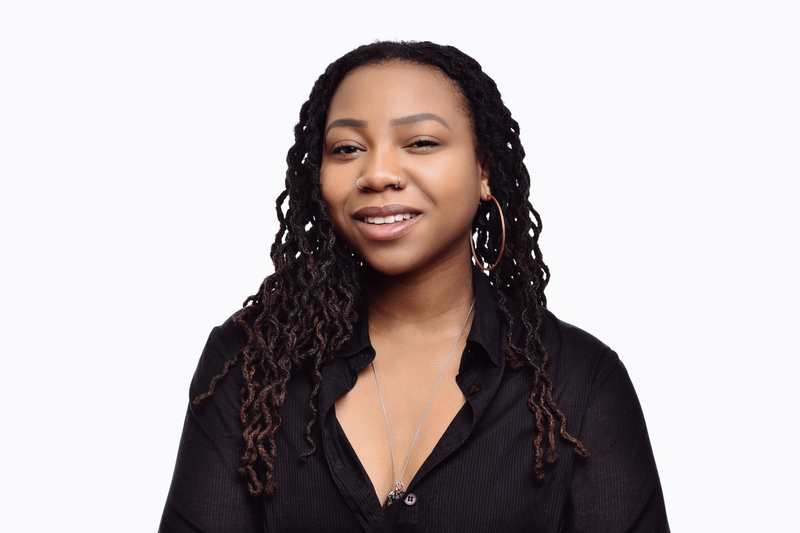 Khadija Nia Adell is a multimedia artist, independent curator, and art administrator based in Baltimore, MD. 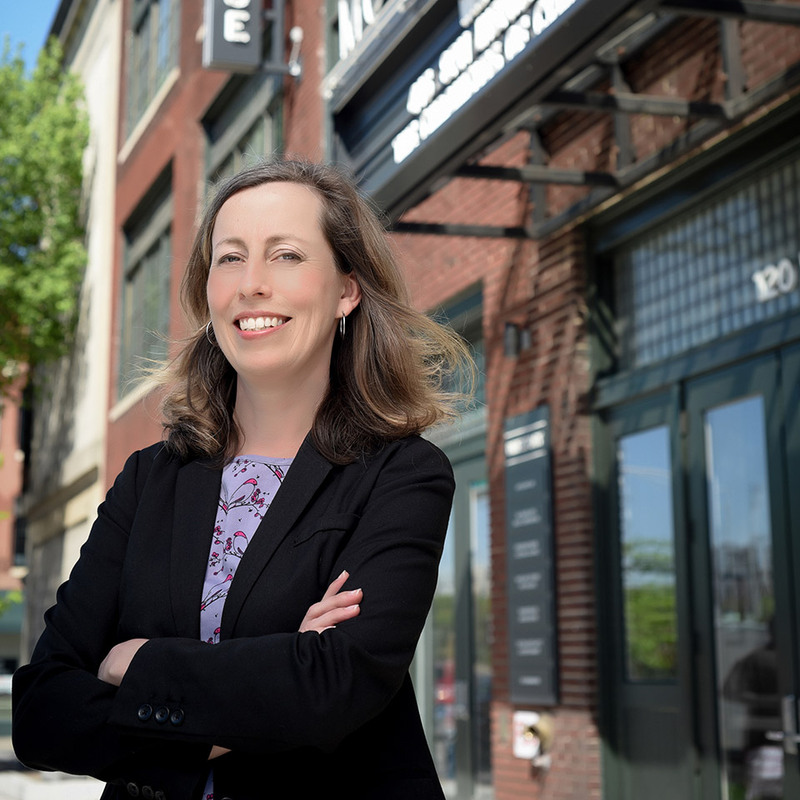 As a past recipient of the Grit Fund Award (2016) and juror (2017), she brings a breadth and depth of knowledge to the management and administration of the 2019 and 2020 cycles of the Grit Fund under the stewardship of Baltimore Arts Realty Corp. (BARCO). BARCO believes that by creating exciting spaces for artists and creative people and organizations we can build new connections and strengthen Baltimore’s cultural sector. 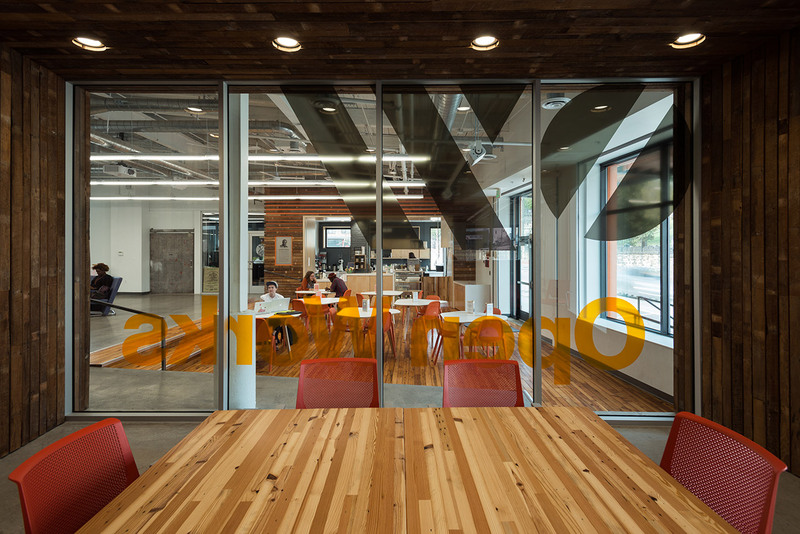 BARCO provides property management services to provide well maintained and welcoming places for the artists, makers and art supporting organizations that call our spaces home. 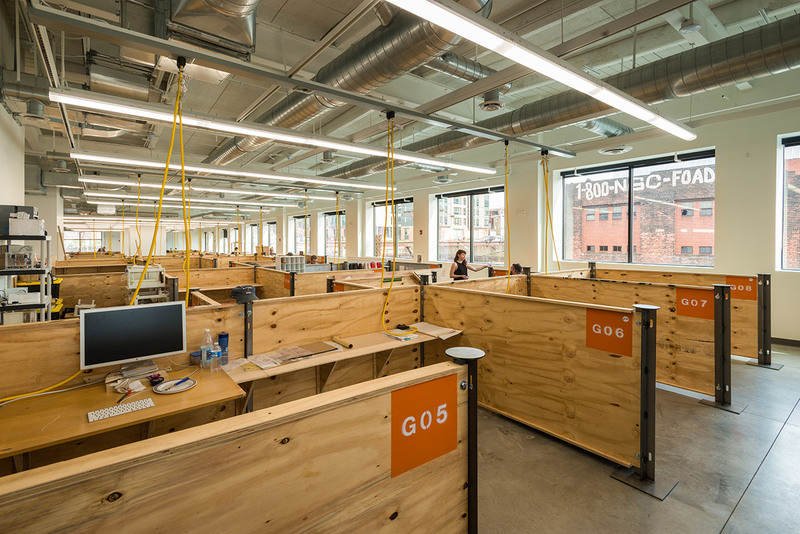 Interested in leasing a work studio space at Motor House or Open Works? Please click on the button below to submit a leasing inquiry. BARCO is dedicated to the advancement, development, and preservation of artist-run, owned, and operated spaces in Baltimore City. Our Arts Space Technical Assistance Program provides comprehensive advisory services to artists and property owners in the design, planning, financing, establishing, and resuscitation of arts spaces, tailored to the specific and unique needs of each artist-run project. Spaces for artists and culture contribute to the ecosystem of a thriving city, build stronger neighborhoods, and enable Baltimore's artistic and creative talent to flourish. Through the generous support of the Robert W. Deutsch Foundation, the Goldseker Foundation, and the Maryland Department of Housing and Community Development, BARCO is able to provide these services pro bono for eligible art spaces, and will continue to advocate for supporting artists in building and owning their spaces for the long term.